★Shopping Cart - Buy More, Save More! 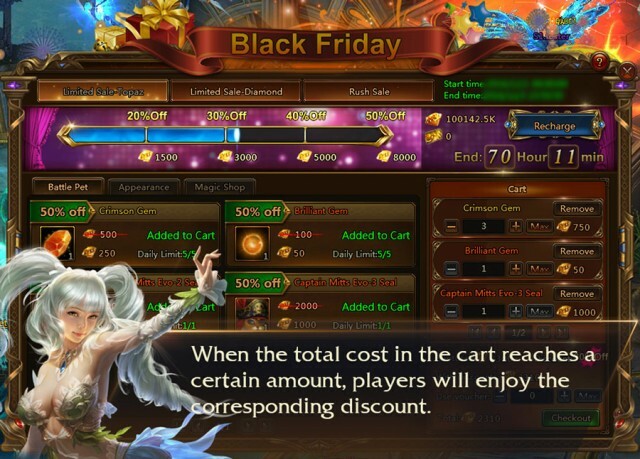 1) Every time you checkout, the discount stacking progress will be reset after purchase. 2) The discount stacking progress of Topaz and Diamond are calculated separately. ★Rush Sale - Shop till you drop! Items in Rush Sale are limited in quantity for each server group. 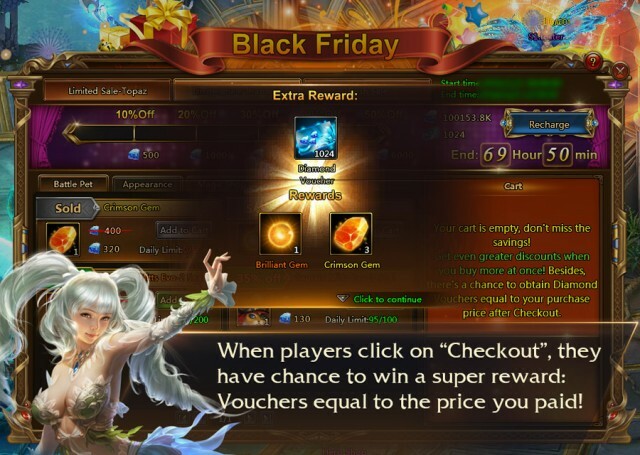 A new batch of items will be added every 2 hours, and players can buy them before 23:59:59 that day. 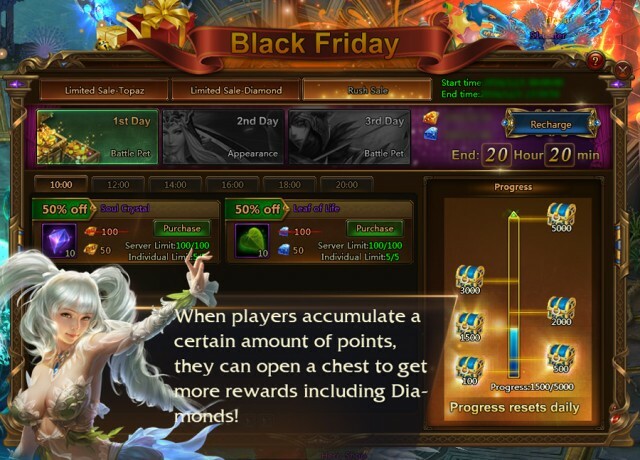 Last：League of Angels II Winter Festival Items Debut!